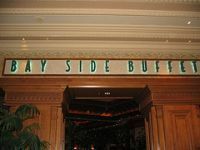 Bay Side Buffet is one of many dining options available at Mandalay Bay Resort & Casino Las Vegas . With sweeping views of our tropical water garden, the buffet is an appropriate setting for a diverse selection. Open daily for breakfast, lunch and dinner.